What personality traits are needed to become a great dancer teacher? Find out how our teachers share that magic and inspire their students in the pages of this year’s Teachers’ Spotlight. Here is a sneak preview - an interview with David Mack, head of the contemporary program at Pevnev Ballet Academy in WA. Tell us about your own training and background as a dancer. I began as a jazz dancer when I was a child but decided to focus on ballet and contemporary when I headed to full-time at the Victorian College of Arts Secondary School. My career as a dancer has been primarily in ballet and contemporary dance companies both in Australia and the UK. My teaching has been based in Perth but I have guested with schools and companies around Australia, New Zealand and the United Kingdom. Describe your pathway to becoming a teacher. As a professional dancer part of the job is participating in community engagement programs and masterclass platforms. These are great for us to stretch our wings as teachers and share all the knowledge we’ve gathered throughout our career. I relished these opportunities and found I had a positive response from many of the students. Later in my career I was given opportunities to teach company classes and then, upon retirement from dancing, Sergey Pevnev approached my to lead his contemporary program. I jumped at the opportunity! What are your top teaching tips? Observe and get to know your dancers as individuals. Everyone thinks differently and has a unique physicality. I believe it’s our job to recognise patterns in dancers and develop pathways for each of them to understand and progress their dancing. With the diversity of dance these days it’s important that we keep learning ourselves and avoid the “cookie-cutter” approach to teaching. One way definitely doesn’t fit all. 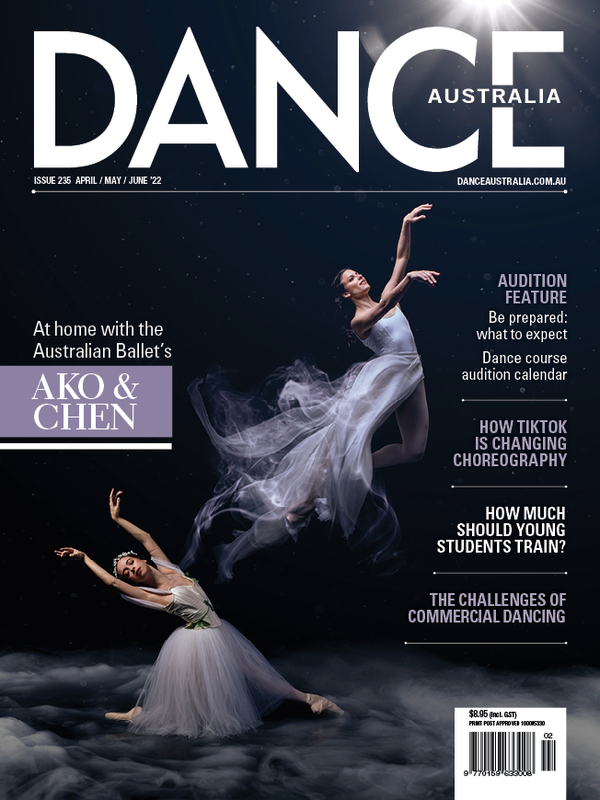 Read more teacher interviews in the December/Janaury edition of Dance Australia - out now! Find it at your favourite retail outlet, or buy it online here... OR never miss an issue by subscribing here.